Noel Whittaker in his book Making Money Made Simple states that in a country such as the UK (he actually cites Australia as an example) “the average person needs only two things to become wealthy – the knowledge of what to do, and the discipline to practise the things that need to be done.” When put that way it sounds so simple (and of course it is) however reality is of course a different story all together particularly when I look back at my own potted history. I graduated and started work in 1995. Almost instantaneously I took on plenty of debt in the form of a car loan and was quick to ramp my standard of living by spending nearly everything I earned (I did save a small amount into an employer pension but it was nothing more than the default fund). It actually took me until 2002 to make a small purchase into my first investment fund which was not part of any overall strategy but simply a random purchase. I can’t even remember what prompted the purchase but it certainly wasn’t the “knowledge of what to do”. It was a great selection [sic] with annual expenses of 1.78% along with a 4% contribution fee. Hardly the road to wealth. It actually took me until 2007 to wake up and start to figure out what the game was all about which is when my wealth building journey to financial independence really started. It was in this same year I bought my first tracker - a FTSE All Share Tracker Fund. That is 12 years from when I started earning a full time salary to even begin to have the personal finance “knowledge of what to do”. Most of course never get this far. In hindsight I find this amazing when I consider personal finance and investing is no secret. Benjamin Graham’s The Intelligent Investor was first published in 1949 and even Whittaker’s book, which is perfect for getting started in investing, was available as early as 1987. I along with most others missed them both. Today of course we have the UK investors daddy in the form of Tim Hale’s Smarter Investing but I’d love to know what percentage of people in the UK actually have that sitting on their book shelf. I suspect a very low fraction of 1%. It’s also not as though you need to be a book worm to learn how to build wealth. Look no further than the excellent Monevator for Exhibit A. So “the knowledge of what to do” is even freely out there yet most don’t even make it past that first hurdle. Well done on reaching your 75% milestone, what an achievement - congrats! Thanks for the wishes weenie. It certainly put a smile on my face. Congratulations on getting to the three-quarter mark, maybe another three yrs and you will be there! Can't imagine too many will reach FI before the age of 50. Whist doing some research for my latest ebook, I came upon an interesting statistic that whilst a third of adults in the UK have a cash ISA, only around 5% have a stocks & shares ISA. I was wondering what percentage of that 5% run their own DIY stocks & shares ISA - probably quite a low figure. Great that the resources are on the web for everyone to tap into - often for free - but I believe people need to take responsibility for their own futures and I guess many choose instant gratification rather than (p)leisure in the future. In the circles I move I don't see anyone who'll be FI before 50. Providing Mr Market doesn't throw a curve ball (wouldn't mind a 20-30% pull back to grab some HYP shares about now though), including black swans, I should make it just before 45. Those ISA stats are horrifying. The Whittaker book I referenced also gave an interesting stat that also ties in with this a little. Australia reference but the question was asked where will hundred 15 year old teenagers be at age 65? 38 will be dead (reinforces live a little today but also for me get to FI asap), 38 will be dead broke, 16 will still be working, 7 will be retired on a liveable income and 1 will be wealthy. So of the living, 87% have effectively no wealth to speak of, leaving 13% who are FI. Both crazy statistics which just reinforce my post musings. I agree with you 100% that people need to take responsibility for their own futures. Your statistics however suggests they're not. Yes, it would be interesting to explore the complex reasons that many do not appear to plan/save for their future - I'm sure there must be many academic studies and reports. Seems to me one big reason must be the ever increasing safety net provided by the Welfare State. Of course, this expansion cannot continue forever - benefits have more than doubled over the past 50 yrs and the welfare budget (admitedly incl pensions) has ballooned to over £220bn - 36% of total expenditure. The head of the Chinese Investment Corpn. is on record as blaming the Eurozone debt levels on "the overburdened welfare system built up since the Second World War in Europe -- the sloth- inducing, indolence-inducing labour laws". "People need to work a bit harder, they need to work a bit longer, and they should be more innovative"
People will start to take more responsibility for their financial futures when the full impact of not doing so becomes real. For the time being that real experience is cushioned. It's a fine and difficult line to walk IMHO. I am the first to suggest that people should take more responsibility for their actions but I'm also receptive to not throw those out on the street who have genuinely fallen on hard times through no fault of their own. The question is how do you separate the genuine 'gave/am giving it a fair go' vs the 'I'm not going to bother even worrying about my future as the state can just support me'. A question I don't have an answer to. Very many congratulations on reaching the 3/4 mark. An immense achievement! 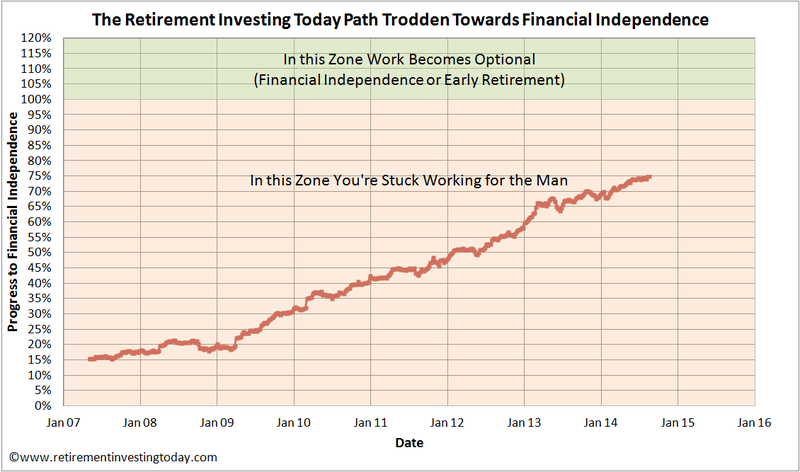 The question of how people arrive at the point where they decide that financial independence is something they can aim for, and then actually go out and do something about it, is very interesting. As a late-comer to the whole concept myself I would say that it honestly never occurred to me that I this was even a choice until very recently. Once the kids were independent and there was a little spare money it suddenly seemed time to start thinking about how best to manage the last bit of my working life. I think there is perhaps still a little of the protestant work ethic in a lot of people. Their parents worked until they drew their pension at 60/65 and so this is the natural way of things. In the meantime their wages are spent on the necessities and then any that is left over is used to make the 9-5 a little more bearable . The result is that they end up with fairly minimal provision for their retirement. I agree that the welfare issue is far more complicated than at first sight it might appear. After all, how many people do actually make the conscious decision that they would be quite happy to live at benefit level? A tiny minority perhaps but not enough to support an argument that this is why we have such a low number of people who invest. I certainly wouldn't like to live in a society where we decided to take away the cushion to see if more people opened up an S&S ISA :-) Working longer is already on the cards for most people, but maybe the implications of the upcoming DC pension changes will eventually filter through and a cultural change will hopefully start to happen. Thanks for the thoughtful comment and wishes. "It honestly never occurred to me that I this was even a choice" certainly held me back from starting. The question is how do we get the message out there? I try with this blog but I'm up against the Corporate Marketing Machine of every company out there that is promoting continual consumerism and I must say they are winning by a long way. 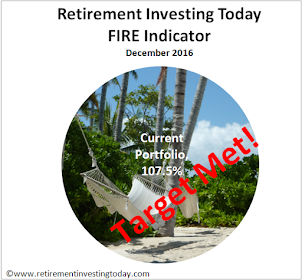 HI RIT, are you planning to live off income in retirement (preferable) or actually sell off capital. Selling capital is akin to cutting of the branches off your wealth tree - better to live off the fruits generated by the wealth tree ie dividends and coupons. Early on I focused on just build the wealth and don't worry if it comes from capital growth or reinvested divi's. In late 2011 I started to think more about building a 'retirement income stream' as my wealth grew which prompted me to start my HYP journey. My HYP which is still in a very immature state will continue to shift me more towards living off divi's as it grows but dependent on what Mr Market throws up I will over the coming months also consider new money flowing into other options such as the Vanguard FTSE All-World High Dividend Yield UCITS ETF to further build income from my equities. The plan is currently based on me effectively withdrawing 2.5% of my wealth after investment expenses annually. Coincidently after I remove the assets I'm setting aside to buy a family home the dividend/interest yield on my current investments could be 2.5% based on current valuations. Ideally I'd like to get that to a bit over 3% which would mean I could live off divi's plus add 0.5% or so annually back into building capital. "where will hundred 15 year old teenagers be at age 65? 38 will be dead": surely that can't possibly be right? I mean, it could prove to be right - the future is another country - but based on experience of the recent past that can't be a rational guess. Can it? What are the backward-looking figures for today's British 65 year-olds? Have a decko. You must be assuming a ginormous death rate between 15 and 25. 300 deaths p.a. per 100,000 people aged 25-64: you have 40 years in that age range so roughly 12% of you die. Add on a bit for the motor-cycling years, and it's still awfully hard to get up to 38%, I think. Open to correction. From 15-24 a male has a roughly 1 in 2000 risk of dying. You spend ten years in that age range, so there's another 0.5% risk of dying during those years. 12% + 0.5% is about one third of 38%. Oh bugger! "From 15-24 a male has a roughly 1 in 2000 annual risk of dying." I've lived there. Beware the blue-ringed octopus! The dangerous creatures are thrill-a-minute stuff, but kill hardly anyone, statistically speaking. How do you decide what 100% is? 100% is when my actual wealth divided by my planned wealth equals 100%. Actual wealth is simply summing the current value of all my investments. Planned wealth is calculated by taking the amount of annual earnings I require to live a happy and healthy life and then dividing this by the percentage of money I am prepared to withdraw from my wealth annually. This post might help. Huge congrats on getting three-quarters of the way there! And thanks of course for the generous citation and link. Thanks for the wishes TI. Your stats mirror mine quite closely, I started work in 95 and plan to be FI by 45, a quick calc tells me I'm 70% of the way there. I to am a bit miffed I haven't got there sooner, I've always had a high savings % but sadly my mistake was to put too much of it in cash early on (trying to save up a deposit for house purchase that never happened). Joining the NGO sector about ten years ago, is also something which didn't help things, it reduced my salary quite considerably but I don't regret it for a minute. We all make mistakes. I've certainly also made plenty of them and have captured a number on this blog. The question I always ask myself when I make one is has the sum of all my DIY mistakes cost me more than the cost of getting somebody to do it all for me. I believe that in my case I'm well ahead and importantly I also now have all that knowledge going forwards that I wouldn't have otherwise had. Congrats on also being 70% of the way there. It feels liberating doesn't it? Congratulations! Look forward to the joyous 100% post. Thanks TA. I'm sure you won't be able to wipe the smile off my face for a week after that post. Roughly how much are you planning to be spending a week in today's money once financially independent (excluding housing costs)? A big part of my journey to (and eventual achievement of) financial independence is focused on both earning more and spending less. I am spending a lot less than I was when I started on my journey but I must say my life is a happier and healthier one because of my journey. Learning how to spend less is IMHO incredibly important because it actually does 2 things. Firstly saving and spending are completely linked because savings equals earnings minus spending. Therefore by spending less you can save more. Secondly though by learning to live off less the wealth goal posts come towards you because it reduces the amount of wealth you actually have to accrue for financial independence. Please have a look at this post for more detail. Attitude to investing is a lot about psychology, and a significant part of this is related to confidence and attitude to risk. cautious low risk ones over the (very) long term.Allocations and diversification are 2 of the most important ways of reducing some of these risks - but you can only diversify if you already have the assets to do so. It would be poor financial planning,and unrealistic to push those who are unlikely ever to become FI to expose themselves to too much risk when their financial needs are to protect and conserve the assets that they already have . Those who are single and have no financial dependents are likely to be able to tolerate levels of risk that a family man would back away from, and clearly factors like employability , possible future needs to move where you live to take a sought after job, possible future inheritances etc etc. contribution of 10 times their own personal pension contribution from their employer. can look back on their progress and think " well - anyone could have achieved this "
without appreciating that risks( that mostly paid off ) had been taken along this route. That may just not have been acceptable to a lot of other folk. Thanks for the thoughtful reply stringvest. Employability is actually one of the factors that is now driving me hard towards early financial independence and possibly early retirement. I can gradually see my job function being more and more moved to low cost developing countries which are great to visit but that I wouldn't like to be called home. 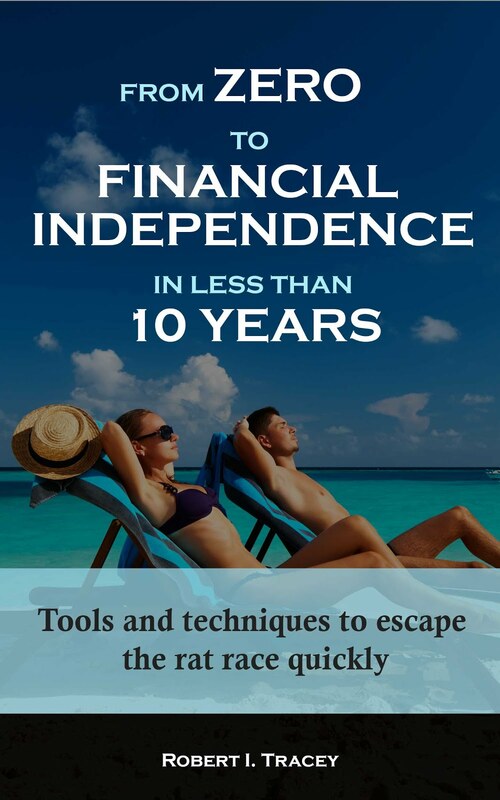 If I can get to financial independence before I'm redundant then I have plenty of options.